With the American dream progressively elusive for and exclusive of Latinos, there is an urgent need for empirically and conceptually based macro-level policy solutions for Latino education. 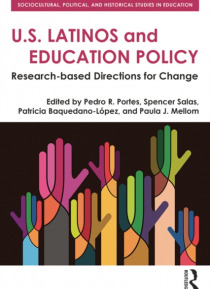 Going beyond just exposing educational inequalities, this volume provides intelligent and pragmatic research-based policy directions and tools for change for U.S. Latino Education and other multicultural contex… ts. U.S. Latinos and Education Policy is organized round three themes: education as both product and process of social and historical events and practices; the experiences of young immigrants in schools in both U.S. and international settings and policy approaches to address their needs; and situated perspectives on learning among immigrant students across school, home, and community.With contributions from leading scholars, including Luis Moll, Eugene E. Garcia, Richard P. Durn, Sonia Nieto , Angela Valenzuela, Alejandro Portes and Barbara Flores, this volume enhances existing discussions by showcasing how researchers working both within and in collaboration with Latino communities have employed multiple analytic frameworks; illustrating how current scholarship and culturally oriented theory can serve equity-oriented practice; and, focusing attention on ethnicity in context and in relation to the interaction of developmental and cultural factors. The theoretical and methodological perspectives integrate praxis research from multiple disciplines and apply this research directly to policy.